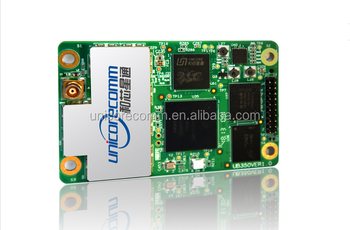 UB351 is BDS/GPS/GLONASS Tri-system Pent-Frequency OEM Board developed by Unicore based on its mature BDS compatible multi-system GNSS SoC. UB351 uses low power consumption design and offers millimeter level carrier phase observation and centimeter level RTK positioning accuracy, and support multi-path mitigation. Advanced technologies of instant RTK and high precision heading are particularly appropriate for the application of high precision positioning, navigation, and heading. UB351 is totally compatible with the main stream OEM boards in dimensions, electrical standards for the convenience of user's further development. With super strong RTK Algorithms, UB351 provides more rapid acquisition and simultaneous Multi-GNSS RTK solution, thus ensure customers to take advantage of Multi-GNSS. Based on the graphical Control and Display Tool (CDT), the status, SNR and elevating angle of the satellites of all the constellations could be displayed on the screen, thus offers the best convenience to application development. With innovated RTK algorithm, Unicore has developed the real-time dynamic heading technology on variable baseline length for moving base station. High quality carrier observation and perfect RTK algorithm can provide a 0.2° heading accuracy on a 1 meter baseline. As UB351's core processor, by far more than 100,000 pieces of unicore's high performance multi-system multi-frequency SoC chip - (NebulasTM)1, has been applied in the market, the SoC chip is characterized by small size, low power consumption and high reliability.